The Benefits of Lemongrass Oil Cleans, Massages, Supports! The benefits of lemongrass may support healthy joints and fitness goals*. Use before and after exercise routine in massage to soothe connective tissue and muscles. My favorite oil blends that contain lemongrass are Purification and Ortho Sport Massage Oil. I use them both every day. Use Ortho Sport for supporting muscle discomfort after exercise. And Purification for dispelling odors or outdoor annoyances! Purification is barn and kennel must have! Read below on more benefits of lemongrass. And how to use lemongrass oil and what to use it for. It will also provide you with some fun tips and oil trivia! As I receive new tips, they will be added to the page, so check back often! Want to Purchase Therapeutic Lemongrass Oil? Purchase Lemongrass Essential Oil Here! Why is this information important? There are over 50 different species of Lemongrass as well as several different chemotypes. Many of the species are not suitable for internal. So always make sure that you purchase essential oil through both the common name and the genus species! Where is the name derived from? 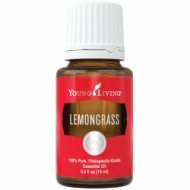 The oil of lemongrass smells like a lemon and therefore the grass was given the name Lemongrass! Did you know that in Traditional Chinese Medicine lemongrass has been used for thousands of years? What are the Plant Properties? Stimulating and purifying. What are the Documented Uses and Benefits of Lemongrass? May support healthy connective tissues and exercise goals*. What is the Aromatic Affect on the Mind? Its pungent and earthy aroma heightens psychic awareness, and purifies the mind. What is the Spiritual Influence? Lemongrass releases resentment, regret from the “should of” statements and pessimism by transforming these negative energies into positive energies. It allows the left brain to see options, so once the negative energies are released, optimism, courage and hope prevails. Lemongrass also protects our auric field from electromagnetic energy (TV, computers, radio). So it would be a good one to wear at the airport when are bodies are bombarded with these energies! Interested in Dietary Lemongrass Oil for Your Culinary Adventures or For a Dietary Supplement? 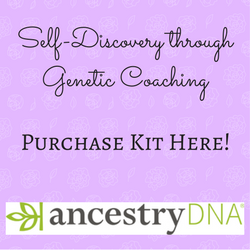 Then check out Lemongrass Vitality Essential Oil! What are the Safety Precautions? First, only use therapeutic grade essential oils when wanting results! One of the benefits of lemongrass oil is that it is generally regarded as safe (GRAS). However this oil can cause extreme skin irritation therefore, dilution is highly recommended. Children under 18 month of age should not use this oil. Did you know that lemongrass essential oil contains 67% aldehydes? Aldehydes give oils some of the best fragrances known to the perfume and cologne industry! Chanel No 5 is a blend of synthetically made aldehydes. Did you know that Citronella and Palmarosa are also in the same family as lemongrass? While they have different therapeutic purposes, they do share some plant properties. Can you tell which ones? Go to the Oil Shop! Buy Lemongrass Essential Oil Here! Dilute Lemongrass with V-6™ Vegetable Oil Complex for massage after exercise, workout, or yoga to support healthy connective tissue.